It’s not for sale, never will be. 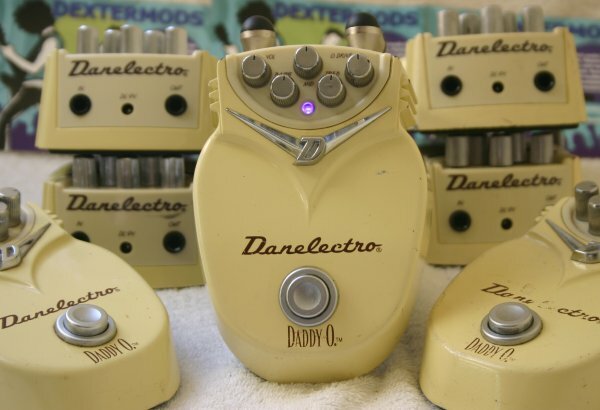 When someone wants my Guv’nor pedal I put a modded Danelectro Daddy-O in front of their amp and give them the chance to play that. The Daddy-O circuit is essentially the same as The Guv’nor with a couple of exceptions. These exceptions make the Daddy-O quite different and rather awful sounding. 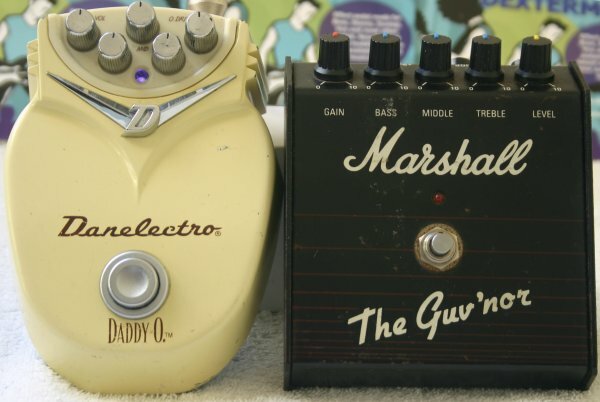 However, by comparing the schematics of the two it is possible to convert the Daddy-O into a black box Guv’nor pedal. It’s not a mod for the faint hearted as it involves cutting traces on the Daddy-O circuit and wiring components point to point but when it’s done you have pretty much got the black box Marshall Guv’nor nailed. I’ve been gathering up a nice collection of Daddy-O pedals for a little while and will start listing them with the Guv’nor mod before Christmas. Here’s a pic of some of the Daddy-O pedals I have stockpiled.